I hope you all are enjoying your weekend! A girl can never forget her accessories, whether that be a headband, a certain pair of shoes, or in this case bracelets! I absolutely love to accessorize V & think it makes the looks so much more fun! 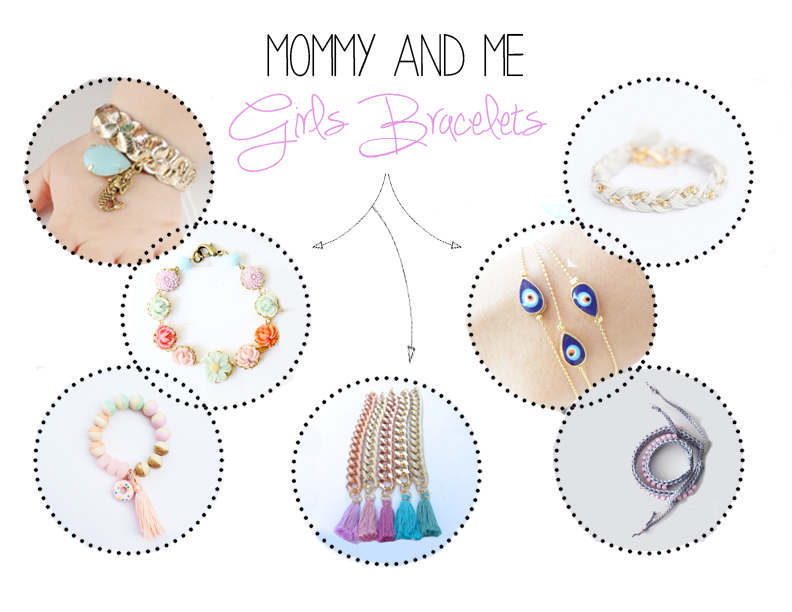 I've rounded up some of my absolute faves for Mommy and Me that I want to add to our collection so I hope you guys love them just as much as I do! Check out all the links below! Don't forget to enter our Freshly Picked Giveaway! Winner will receive one pair, any size, any color! It ends on May 24th!